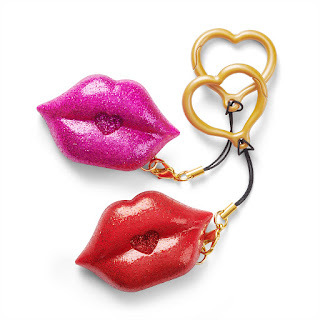 S.W..A.K.™ (Sealed With A Kiss) by WowWee lets you send your love near or far for only $5.99. 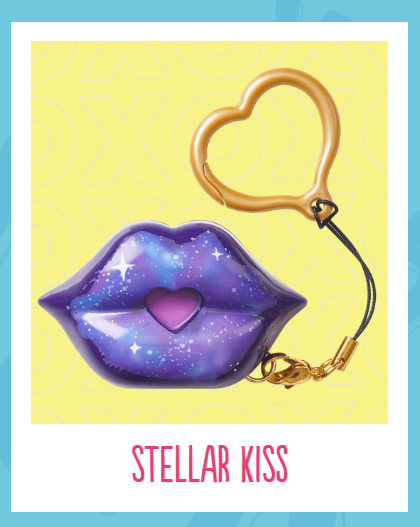 It's a keychain that really kisses - so your loved ones can carry your affection whenever they need it, where ever they go. And with 12 unique "mwah" sounds, you can find the one that matches your personality. So, why send a card when you can send a kiss for Valentine's Day? This really is the perfect gift for parents sending to their kids at college, grandparents who are unable to make the trip for Valentine's Day, family and friends who are away serving our country, and so many more. I was pleasantly surprised that both my sons and daughter enjoyed these and wanted theirs to clip on their bookbags. They are huge about decorating those bookbags and notebooks. My kids I think just like the noise and being able to make the kissing sound with it. Sierra especially! She is four and has her S.W.A.K. attached to her travel bag. She is such a little diva. They all liked the different designs and being able to choose their own and loved the added surprise that they all had unique kissing sounds. These are the perfect inexpensive way to show someone you care and express your love for them this Valentine's Day.